Shopify is an website builder for online stores that makes it easy to collect donations online. You can use premade button that is linked to your secure donation page or you can embed Donorbox‘s customizable donation form. Read on to find out which is the best option for you and how to add them to your Shopify. Next, head to your Donorbox dashboard to the donation campaign you wish to link to. Find the secure donation page link address and copy it. Now head back to your Shopify page and paste the link where it says “Button link.” Hit enter, and a button will automatically appear beneath your text. Make sure to hit “Save” in the upper right-hand corner, then you can start collecting donations through your Shopify site. 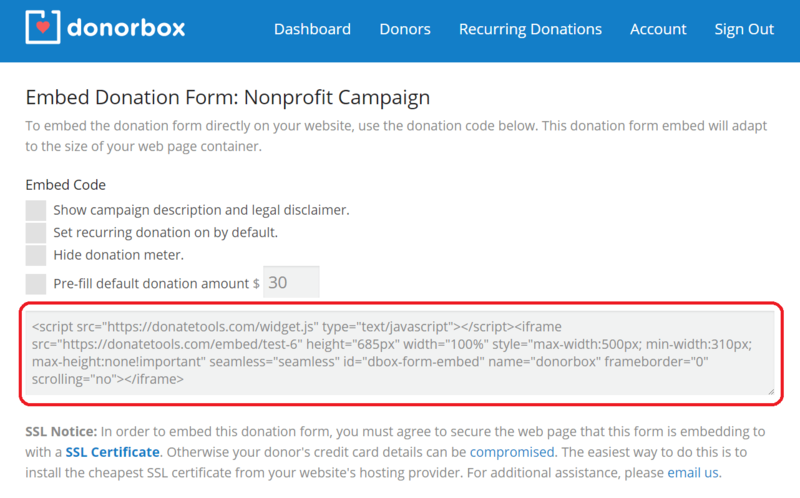 When embedding the donation form, you must make sure your site is SSL secure in order to protect donors’ information. Shopify stores use SSL encryption everywhere, so you are ready to embed the form! To begin, start on your Shopify page and select “Add section” on the left side of the screen under the “Sections” option. Now head to your Donorbox dashboard. 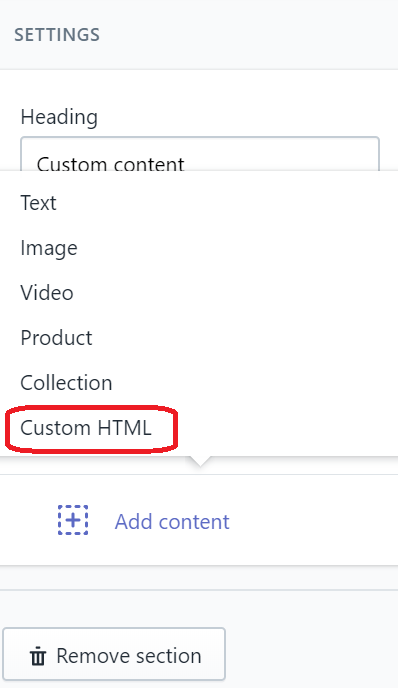 Find the right campaign, and choose “Embed Form.” Copy the embed code found in the gray box, and head back to your Shopify page. 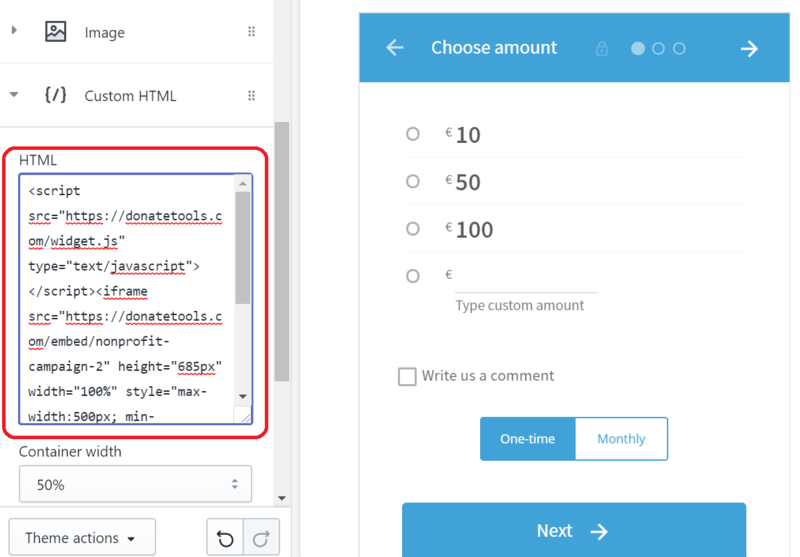 Paste the code in the box that says “HTML” and the donation form will automatically appear. Hit “Save” and you’re ready to collect donations securely and easily from your Shopify site! I hope this step by step guide on embedding donation form on Shopify was helpful. Donorbox is being used by more than 11,000 nonprofits across the world. Please let us know if you have any doubts while setting up.